As Bowen & Company set about transforming the James Beard Awards from a strictly-industry event to a glamorous social occasion, we called upon our frequent partner, the renowned Susan Magrino Agency (SMA). SMA is a full-service public relations and branding firm. Their diverse array of luxury and lifestyle clients includes Martha Stewart Living Omnimedia, Le Cirque, One&Only Resorts, Canyon Ranch, Stoli Vodka, Farrow & Ball, and the list goes on. Meet the agency’s namesake, Susan Magrino, who founded the NYC-based company in 1992 and continues to serve as its Chairman and CEO. 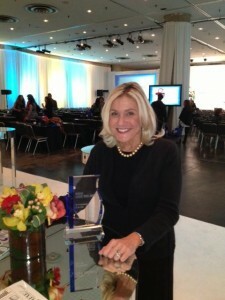 She was also recently named BizBash’s “NY Reader’s Choice” PR Professional of the Year. 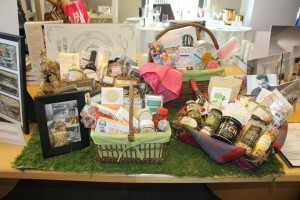 Q: SMA’s list of clients includes a roster of luxury brands, as well as special events. How does your media relations and brand strategy differ for an event? SM: It does differ client to client. For instance, some events are better with a guest list of influencers and “real people” versus heavy media. It is a strategy that we have always employed in terms of what makes a great room/great party and spend a lot of time thinking about. Media coverage is certainly important but you need to have an interesting mix of people who can relate or enhance the brand that you are doing the event for, so having the right mix of guests to media is key. Sigourney Weaver and Caroline Kennedy at a recent NYPL Gala. Q: What is your number one piece of advice to someone when selecting a public relations firm for an event? SM: We think it is important that they understand what needs to happen at the party—and throughout the party—is as important as all of the planning and work leading up to it. Keep things moving! The photographer must shoot all the guests as soon as they walk in; waiters and bartenders must move FAST and serve food and drink right at the start. Events are about the guests and serving them, so a well-executed and successful event is determined by how someone feels when they leave as well as when they are there. If there is going to be a speech: who is in charge of turning down the music when this happens and actually knows how to do it?! The coat check should be well staffed and organized; staff should be alert and on the lookout for all good media opportunities, and make sure that the team leader is aware of any situations that need management; and most of all everyone needs to keep calm and cool no matter what. These are things that you learn over time. I started my career in book publishing. There was always a book party, there was never a budget, and I had to do it all. So, I had a lot of responsibility at the start of my career. Most important is the next day and follow up. Everyone on the team needs to be at the office and ready to service media/photos, check in with reporters and guests on any details, and most of all report to the client—in a very timely fashion—an assessment of the event and all feedback/media and overall gain from doing it. 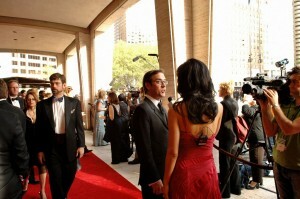 Q: Any smart tips for maximizing your red carpet arrivals? SM: Keep the line moving. Don’t let it get backed up when the most famous person arrives. If regular guests happen to get in this line, politely offer to move them on so there isn’t a bottleneck at the door. Create a system so that your VIP reps are calling you in advance of arrival, allowing you to time and maximize interviews with key press. Stage your levels of media for who is outside before arrival, who is actually on the line, who is inside and roaming if at all. Don’t let things go on too long. Make sure the guests can enter the party and complete that portion and enjoy the evening. By the same token, if you deliver to the media, and give them what they want, they will appreciate it and go home happy. These journalists cover events every night, and they rate you as well. They appreciate well-orchestrated events that respect what they need, in addition to what you are trying to do for your clients. SM: I love the planning and strategy. I really try to think through the beginning/middle/end of the campaign, the meeting and what people are looking for on the other side-you try to get into the perspective of client, the news cycle, the season, the climate and really make what you are doing relate to that. Events are also terrific because it is an ideal way to see a lot of people at once and network. So many opportunities come each day; the key is follow-up. Q: We love visiting your office, especially the large, glass jars filled with candy that sit on the conference table. What’s the story there? Seems dangerous. SM: You know it started as décor and whimsy, and we just kept it. We change the candy seasonally but always keep some mints. People love it, and almost everyone breaks down and takes a piece before the end of a meeting, especially in the afternoon!